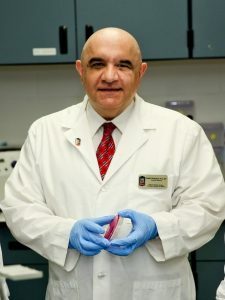 Medical Laboratory Sciences Professor Masih Shokrani will be awarded the American Society of Clinical Laboratory Science’s Distinguished Author Award for his research about Diabetes Mellitus. This is the highest honor given for scientific work by the ASCLS for its peer-reviewed publication. Shokrani will also receive the Web Publication Award for his work as the editor-in-chief of the ASCLS-Illinois web newsletter, Insights. He will receive these awards at the ASCLS national meeting this July at the ASCLS national meeting in San Diego.